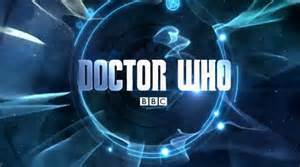 Before the latest series of Doctor Who started, I put together a Top 10 List of Best Modern Doctor Who episodes (click here to view). After watching ‘Extremis,’ I thought about a Top 10 List of Worst Modern Doctor Who episodes! In the interests of fairness, of course. Just like the previous list, there’s plenty of choice. Doctor Who can veer from having an incredible episode one week to an absolute stinker the next week. It’s TV series that has few boundaries. It can go anywhere in time and space. It should be delivering great episodes each week. But it doesn’t. And here are the worst offenders…. Peter Capaldi is an incredible Doctor, but has been served with some mediocre writing. This one is perhaps the worst offender. Taking on the found footage genre, it attempts to deliver a spooky story held inside a space station. But the monsters are…from the sleep in your eyes? That deflated any menace the episode had. It’s unbelievable, ridiculous, and a terrible idea all at the same time. The cliffhanger, like those in most found footage films, tried to haunt the viewer even more, but it just made the episode more ludicrous. I suppose it can be given credit for trying something different. But there’s nothing else of value in this mess. In Series 6, Steven Moffat became lost in his own mythology. The story of River Song grew ever more contrived. The questions left over from Series 5 remained unanswered as even more questions arose. Killing The Doctor off in the first episode was a brave but silly move. We all knew The Doctor wouldn’t die. So why even tie yourself up in knots from the first episode? It was a tough choice between this episode and ‘The Wedding of River Song,’ but this episode, I think, represents the point of no return for Moffat’s mythology. Everything became over-complicated and impossible to follow from this point on. It’s the epitome of Moffat thinking his writing is clever, but in reality it’s garbled tripe. There’s too much going on. The location, Berlin 1938, and Hitler are wasted. The revelations about River Song only serve to confuse the viewer even more and leave them with further questions. A bloated, convoluted and nonsensical entry. The Christmas Special is usually garbage. But they are often merely boring rather than downright offensive. This Titanic waste of an episode is the worst Christmas Special yet (and that’s saying something!). The excesses of RTD’s era are all over this one: sickening sentimentality, silly names for characters, a simple plot that is stretched to breaking point, and The Doctor fawning over the lost Rose. For one, it’s far too long. Kylie Minogue tries her best as the special guest star, but her character’s neither here nor there. I’ve watched it many times, and I can barely remember any of it (perhaps because I block it out of my memory every time). It’s a disaster episode in more ways than one. A story involving The Doctor sending someone to their probably execution should be a riveting experience. However, when that episode takes place in Cardiff and contains the laughable Slithereen, there’s no hope of that. It’s mainly dull, a slog to watch. From the beginning, it stretches logic. Why would a survivor of the previous Slithereen story be allowed to become Mayor of Cardiff in such a short period of time? Wouldn’t she be thoroughly questioned about the events of ‘Aliens in London/World War III’? All this episode exists for is to have The Doctor talk to the Slithereen about life and death over dinner. Is sending someone to their execution morally wrong? I suppose the dinner conversation is halfway decent, but everything around it stinks of a rushed plot. Not only is it dull, then, but the plot is barely there. Surely the worst episode of the first series of Nu-Who. The second series of the revived Doctor Who was possibly the worst of Russell T. Davies’ run. It contained some awful episodes (one of which takes a higher place on the list). This one was beyond awful. One of the biggest criticisms of Nu-Who is its tendency to take place in London. All this episode did was take the story to London in 2012. The story was poor, and the child actor was even worse. Combine that with a laughable villain, scribbles that came alive, the cheesiest run with the Olympic Torch ever filmed, a forced foreshadowing of doom for the finale, and you have an episode that didn’t deserve to pass the writing stage. Okay, I count this two parter as one, long miserable episode. Bringing back The Master promised some entertainment, but he turned out to be Gollum with lightning shooting out of his hands (for some reason). The return of the Time Lords promised some entertainment, but they only added to a ludicrous plot. RTD’s sickening sentimentality went into overdrive at the end, where The Doctor spent twenty minutes dying and saying goodbye to his companions. It was something we’d seen in ‘Journey’s End,’ so why revisit the same territory? There’s no logic or sense in any of the proceedings. It must be, without a doubt, the worst story RTD ever wrote. A waste of The Master, The Time Lords and the end of The Tenth Doctor’s tenure. Another episode that focused on a famous figure, and another episode that just plains stinks. There’s forced humour between Robin Hood and The Doctor that fails to raise any laughs. In fact, there are poor attempts at humour throughout, most of which fail. The villains lack any threat. The story and resolution make little sense. The Doctor’s questioning of Robin Hood’s reality spins the story off its axis. Why did he want to disprove the legend of Robin Hood so desperately? Worst of all, it’s just dull and not in any sense entertaining. If the threats of the Daleks had not been diminished brutally before this two parter, then it reached a point of no return after this story. The central thrust of the story serves to undermine everything the Daleks are about. There’s too much silliness to talk about in this episode, be it the pig-slaves, the Human Dalek, ludicrous science and biology…We see The Doctor offer himself up for sacrifice not once, but twice. Talk about over-egging the pudding! It’s good to see a change of location, in the guise of Depression Era New York, but it looks unconvincing and stagey. And think about it, shouldn’t that particular epoch in history be fully suited to a Dalek episode? Shouldn’t the rise of fascism have some parallels with Daleks? Nope, instead we are given a story that tears apart credibility. Even a child wouldn’t be convinced by the use of biology here. Like I mentioned before, the second series of Doctor Who could occupy this entire list. From a disappointing revival of the Cybermen, to ‘The Idiot’s Lantern,’ to cat people, there’s plenty of choice. But ‘Love and Monsters’ takes its place as the worst episode of the entire run of Nu-Who thus far. There are no redeemable qualities to this one. It’s Doctor/companion lite, meaning that we are stuck with characters who it’s hard to care about. Of course, Blink would deliver greatness with the same constraints. But this one veers from incredibly dull to ridiculous. The Absorbaloff has to be the worst villain in Who history. The ending is plain disgusting, hinting that the main character can still have intimate relations with his girlfriend, who’s a paving stone. This should never have been broadcast. Easily the worst episode of Doctor Who’s modern run. I’ve been watching Doctor Who since Tom Baker was in situ in the seventies. I would concur that since Moffatt has been in charge the writing has been shockingly bad for both Smith and Capaldi. Smith had five great episodes leading up to the departure of the Ponds. The show then became a circus for Clara, it was all about her and I despised the character. I felt her to be a bully. After the greatness that was the Ponds, the best post revivial companions next to Captain Jack, she was just terrible. Capaldi’s time as the Doctor has been riddled with poor writing and I wouldn’t be surprised if that has a big part to play in why he’s leaving. I would disagree that The Waters of Mars was in any way worthy of a dishonourable mention. It was one of the best Tennant adventures since doomsday, a dark desperate tale. Victory of the Daleks, hell yes absolutely awful. That was part of Smith’s first season where the episodes barely got to 40 minutes long! Robots of Sherwood, abysmal! Chris Chibnall is going to have his work cut out restoring Who back to it’s former glories and the casting of the next Doctor could make or break the show, IMHO. I hardly even watch the show live now, I’m that apathetic to it and if Kris Marshall is the next Doctor that apathy will increase ten fold. Thank you! I know a lot of people like Waters of Mars, but I’ve always found it boring. I have enjoyed most of Season 10 thus far, actually. Although at this point my expectations are so low that anything above mediocre is acceptable!